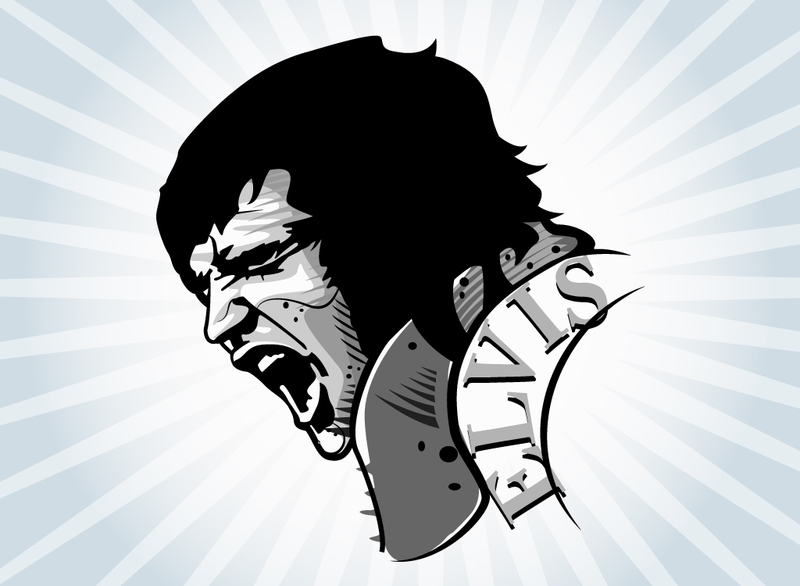 Legendary and iconic entertainer Elvis Presley is captured in this vector illustration. Grayscale design with brush strokes and halftones creating texture and shading set on star burst background. Dynamic and dramatic vectors for your music, pop culture and entertainment themes. Tags: Elvis Presley, Entertainer, Icon, Las Vegas, Pop Culture, Singer, The King.